VSL is the National Metrology Institute of The Netherlands. It participates to the KEY-VOCs project with staff and equipment from the chemistry group (gas analysis). The chemistry group at VSL has more than 30 years of experience in the preparation and certification of gas mixtures. The accuracy of the gravimetrically prepared mixtures is state‑of-the-art and has been demonstrated in many international comparisons with other National Metrology Institutes. VSL is JRP-Coordinator and will be leading WP1, WP5 and WP6. BAM is the Federal Institute for Materials Research and Testing of Germany. BAM aims to improve safety in technology and chemistry through research and development, testing, analysis, approvals, advice and information. Within these interconnected fields important areas are the collaboration in developing statutory regulations, for example on safety standards and threshold values or the development and supply of reference materials and methods, in particular for chemical analysis and materials testing. Furthermore, BAM assists in the development of standards and technical regulations for the evaluation of substances, materials, structures and processes. Members of BAM’s “Materials and Air Pollutants” division have many years of experience in measurement and the definition of standards and protocols for testing VOC emissions from building products. Several round robin tests were organised to check the test chamber method for VOC emissions. BAM is involved in the European and national standardisation for emission testing of building products and indoor air relevant emitting compounds. In the EMRP JRP ENV01 MACPoll (Metrology for Air Chemical Pollutants) BAM worked on the development of a constant emitting material based on a lacquer system as carrier material. In this JRP it is planned to continue the work by creating a candidate reference material on the basis of a VOC emitting polymer which shall be used for quality assurance and quality control purposes in materials emissions testing. BAM will lead WP3 and participate in WP4. 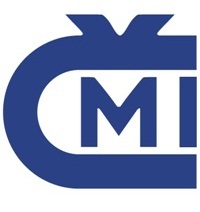 CMI is the National Metrology Institute of Czech Republic and comes under the auspices of the Ministry of Economics and Trade and has about 300 employees. The gas chromatograph and gravimetric laboratory of CMI is relatively young, established in the mid-nineties after the break-up of Czechoslovakia. Currently the laboratory has 4 employees, 3 of them are working full-time or part-time in the field of gravimetric preparation and measuring gas mixture. Its’ staff aim to establish a complete coverage of gas mixture metrology; emphasising of modern technologies and attempting to take part in many inter laboratory comparisons and collaborate with the Institute of chemical technology in Prague and other European NMIs. In this JRP, CMI will work at the development and validation of reference standards for oxygenated-VOC (WP2 and WP4). 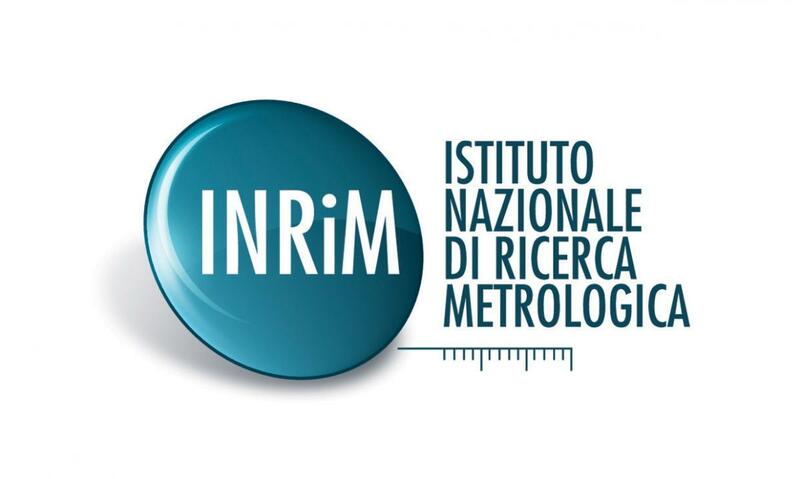 Performing the duties of primary metrological Institute, INRIM realises the primary standards for basic and derived units of the International System of units (SI), assures the maintenance of such standards, their international comparison, provides the national measurements traceability to the SI, and represents Italy in international metrological studies. INRIM supports local and European technological innovation for industry, participates in EU research programmes collaborates for the accreditation of the calibration laboratories in Italy, provides technical certification and consultancy services, promotes and divulges research supervising diffusion of the results by scientific literature, in the productive sectors and in the society. Realisation of gas mixtures standards, based on gas diffusion, of dynamic trace VOC in air. Development of theoretical-experimental models for comprehensive uncertainty analysis of the diffusion rate and stability in the dynamic generation of VOC mixtures. Gas Chromatographic analysis of trace VOC in air. The group is active in the International Metrological Group for Gas Analysis through participation in international comparisons for ozone and VOC ozone precursors at ambient level analysis. INRIM will contribute in WP1, WP2, WP3 and WP4 by developing OVOC, acetonitrile and formic acid in air dynamic standards, based on gas diffusion, in zero air impurities measurements and in uncertainty budget models experimental testing. The Institute for Environment and Sustainability (IES) is one of seven institutes that constitute the Joint Research Centre (JRC), which is a Directorate-General of the European Commission providing customer-driven scientific and technical support for the conception, development, implementation and monitoring of European Union policies. With 470 staff, the IES is one of the largest interdisciplinary environmental research institutes in Europe. The JRC staff participating in this JRP work in the “Climate Change and Air Pollution" Unit. The Unit is running the European Reference Laboratory for Air Pollution (ERLAP), contributing with various activities to harmonisation of air quality assessment, improving measurement quality and the understanding of air pollution impacts. ERLAP is also participating in Key Comparisons together with the National Metrology Institutes. LNE is committed to excellence in measurement and testing and to progress in quality and safety, for the benefit of industries and consumers alike. Since 1997, LNE's public mission has been specified in a fulfilment agreement drawn up every four years with the French government. The state's financial contribution takes the form of annual subsidies. These enable LNE: to operate as the national reference laboratory in metrology for French industry - to pursue its scientific and technological development in order to anticipate new measurement and testing requirements created by advances in technology and society's new expectations in the spheres of safety, health, quality and environmental protection - to provide state authorities and key economic players with the technical assistance they require to draft new regulations and standards at national, European and international level, develop new test methods and carry out market surveillance. Applying its multidisciplinary technical expertise, LNE provides companies with services in the fields of metrology, medical and health products, construction products, packaging, transport, environment and industrial products. LNE offers a full range of technical conformity services, from calibration and testing to technical assistance and training. LNE is also a certification body, providing companies with the technical solutions they need to ensure the quality and conformity of their products and enhance them on markets worldwide. LNE will contribute to this JRP in the following fields: preparation of gravimetric and dynamic gas mixtures and analysis of gas mixtures (WP1,WP2 and WP4). LNE develops and maintains Reference Materials, which are primary standard gas mixtures obtained by using gravimetry as a preparation technique. The gravimetric principle, which is described in the International Standard ISO 6142, is a powerful tool to produce accurate gas standards. LNE also has specialised experience in environmental measurements. It plays a central role in the French Central Laboratory for monitoring air quality (LCSQA), which ensures the technical coordination of the monitoring networks in ambient air. LNE has also developed capabilities in gas analysis and is fully accredited to ISO/IEC 17025 standard. METAS, the Swiss Federal Institute of Metrology, is the Swiss NMI. It realises and disseminates internationally harmonised and recognised measurement standards at the required accuracy. The Analytical Chemistry Section provides services related to the application of measuring instruments in the fields of environment and health, and it provides standards and calibration services to measure air pollutants. The Gas Analysis Laboratory at METAS has provided services in the area of gaseous airborne pollutants and carries out accurate measurements for gas mixtures for over 25 years. It started with the analysis and homologation of exhaust gas analysers according to Swiss national law. A special emphasis of the laboratory lies on the dynamic generation of gas mixtures. The participation in CCQM-K74 has already proven the low uncertainty of the primary dynamic generation system based on magnetic suspension balances. METAS is very strong in accurate gas flow calibrations as proven in EURAMET project 806 and has also already participated in a number of EURAMET and CCQM projects and key comparisons. For this reason, METAS will contribute to WP2 and WP4 activities in this JRP, with the generation of dynamic gas mixture standards for OVOCs and terpenes at concentrations below 100 nmol/mol. This will combine the experience of permeation and dilution methods with highest purity matrix gases for a very low concentration range. The National Physical Laboratory (NPL) is the National Measurement Institute for the UK and is a world-leading centre of excellence in developing and applying the most accurate measurement standards to science and technology. The Analytical Science Division at NPL is devoted to the development and dissemination of new reference standards to underpin chemical and biological measurements and includes more than 90 scientists. The research in this JRP will be delivered by the Gas and Particle Metrology Group at NPL. This group consisting of 22 scientists and is devoted to the development and dissemination of standards for gas and particle analysis. Metrology for volatile organic compounds features particularly high up in the group’s strategic agenda. NPL also holds a leading position in the preparation and analysis of standards required for atmospheric and air quality monitoring. NPL disseminates a full suite of standard gas mixtures to support the EU Air Quality Directives; which are based on a combination of standards prepared by gravimetric dilution and dynamic dilution methods. Additionally, NPL has developed a suite of standards for VOCs. These were initially developed to meet the requirements for the EU Ozone Directive, but they have now been extended to form the basis for the WMO/GAW Primary Standard for the global monitoring of eight priority hydrocarbons. NPL will lead WP2 and participate to WP1 and WP4. The Physikalisch-Technische Bundesanstalt (PTB) is the German national metrology institute. PTB has over 25 years of experience in the field of metrology using synchrotron radiation. Role within the project: PTB will transfer the results obtained within EMRP JRPs on the characterisation of liquid / solid interfaces in ultra-high vacuum to the gas / solid interfaces involving 2 scientists and 1 engineer (WP1). As a National Metrology Institute of Turkey, TUBITAK, officially established in 1992 as a separate institute, operates with the mission to establish national measurement standards for providing traceability to the secondary level laboratories. The main objectives of TÜBİTAK Chemistry Group Laboratories are to perform activities and organisations for; i) development of methods in chemical measurements for improving quality of the measurement, ii) validation of the developed methods, iii) estimation of uncertainties by preparing uncertainty budget for the measurement, iv) production and certification of primary reference materials at both national and international levels, v) providing sustainable traceability chain of these materials, vi) raising awareness in the field of general metrology and metrology in chemistry throughout the country. TUBITAK Chemistry Metrology laboratories are equipped with instruments such as HR-ICP-MS, Q-ICP-MS, NMR, GC-MS/MS, LC-MS/MS, IR (isotope ratio)/MS, HPLC, IC (ion chromatograph) and sample preparation equipment. TUBITAK has experience in the analysis of trace elements and other organic compounds, such as pesticide, PAHs, PBDEs, VOCs and antibiotics in environmental, food and biological samples. TUBITAK has the capability to determine trace elements by HR-ICP-MS and LC-ICP-MS techniques. Speciation analysis methods with HPLC-ICP MS coupling have been developed in TUBITAK Chemistry Laboratories and the determination of fatty acids and other metabolites of plant species and biofuels are performed. The institute has been involved in EMRP JRPs Energy ENG09 Biofuels and ENV08 WFD. Six Scientists will be involved in the JRP and will contribute to WP3 and WP4.